Good looking and highly desirable. Cooper S version is fast. Horrible chrome plastic covers on roll bars. Rock hard ride on 17-inch wheels. Glass rear windows can shatter. Another Electric Power Pump Steering failure reported, this on a 44k mile 2004/54 R52 MINI Convertible. 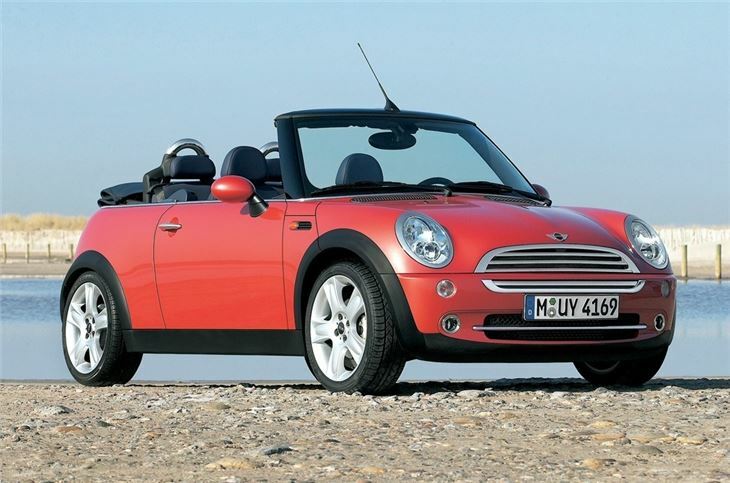 The Convertible version of the MINI arrived in 2004, some three years after the launch of the hatchback. It was the final piece in the MINI jigsaw and one that proved to be both highly successful and profitable for its maker. Although it looks like a simple roof chop, there are many engineering changes in order to beef up the car's structure enough to maintain the original car's excellent dynamics. Styling elements that set apart the Convertible are the retro looking external boot hinges and the chrome-look roll-over hoops. Unlike the original new-generation MINI, the Convertible was developed from start to end by BMW and the end result is a car that's roof is a superbly-engineered two-stage arrangement that gives the option to be run in full open-top mode or partially retracted. 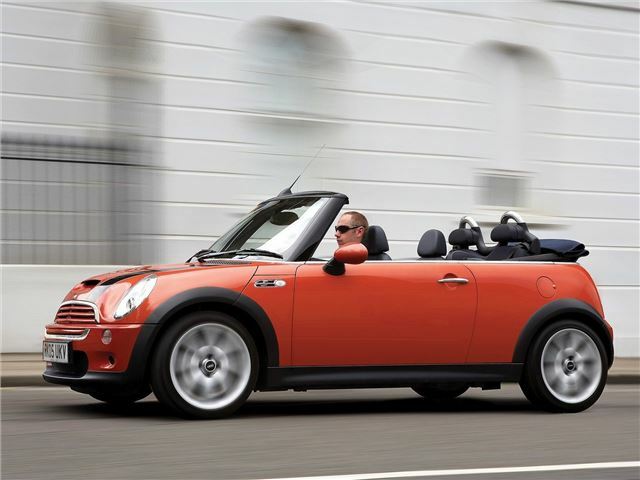 The Convertible was powered by the Tritec 1.6-litre engine in naturally-aspirated Cooper form, or Supercharged Cooper S. As it ran alongside both the original new MINI and its replacement, the original Convertible was facelifted to coincide with the newer car's introduction, with a revised range of colours and upgraded interior and equipment levels. Strong image and residuals are a positive, but a relative lack of quality compared with the later Convertible is a downside.